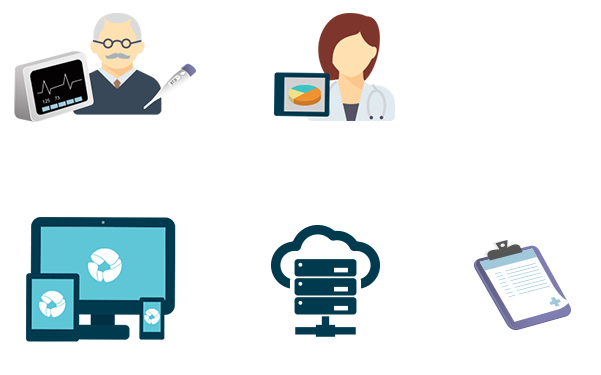 Meet a clever way of taking care of your patient’s health with the SigHealth platform. Our experience and technologies enable us to create IoT solutions for the healthcare domain. Using the SigHealth platform it’s possible to create healthcare services in the cloud, with interoperability and customization. SigHealth One model is designed for the remote monitoring of patients with chronic diseases. SigHealth Pro model is designed for professionals in Homecare, Hospitals or Public Sector that want to monitor patients in real-time using medical devices.